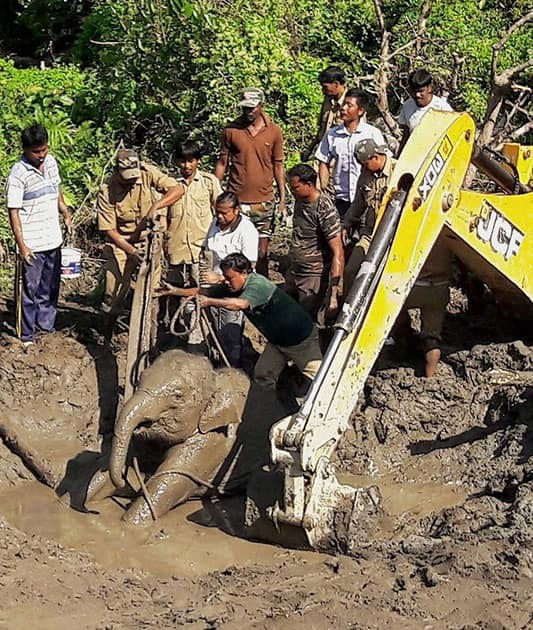 Forest workers with the help of a JCB machine trying to rescue a two year old child elephant inside Buxa Tiger Reserve under Alipurduar. AIADMK cadres celebrating for their party's victory of three Assembly bypolls in front of Apollo Hospital where Chief Minister J Jayalalithaa is undergoing treatment, in Chennai. 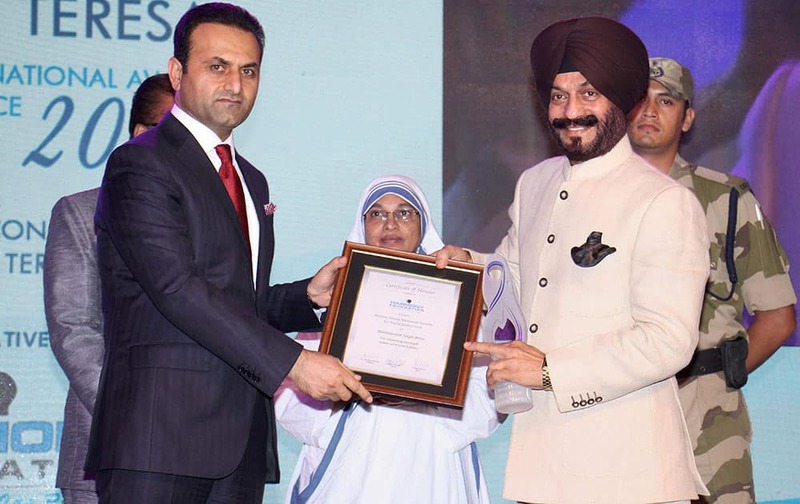 All India Anti Terrorist Front Chairman MS Bitta being honored with Mother Teresa Memorial Award by Harmony Foundation at a function in Mumbai. 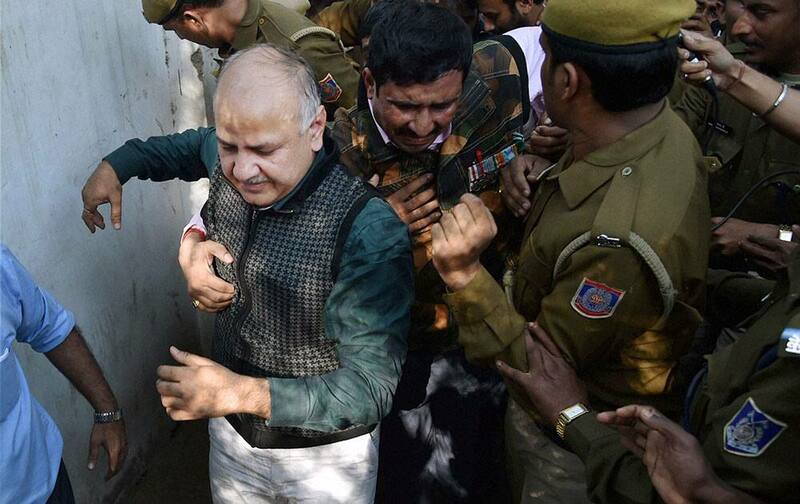 Delhi Dy Chief Minister Manish Sishodia along with AAP workers during a protest march against demonetization of Rs 500 and Rs 1000 notes, in New Delhi. 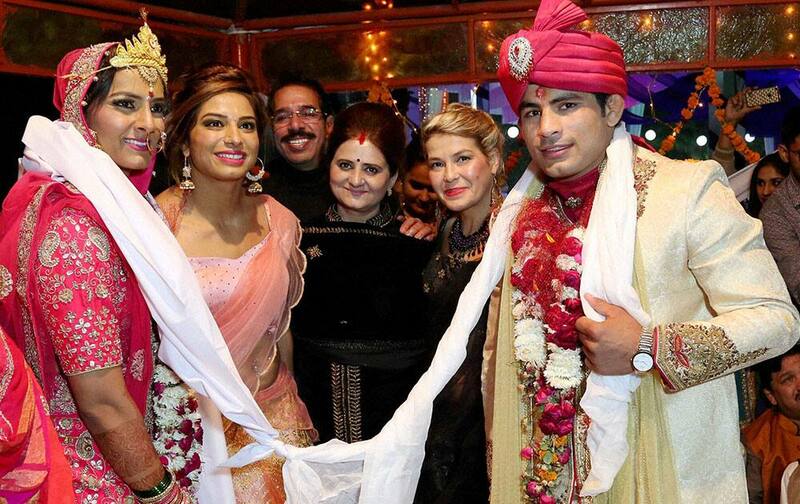 Pro Wrestling League International Stars Yana Rattigan and Marwa Amri at Geeta Phogats wedding at Balali in Bhiwani. 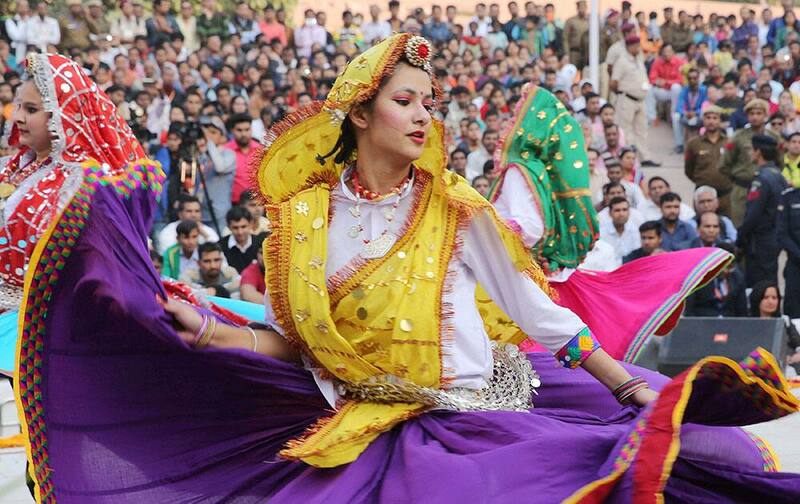 Folk artists from Haryana perform on the occasion of Haryana Day at India International Trade Fair in New Delhi. With the beauty queens crown on her head Veronika Bodizs, a 24-year old student, waves between Hungarian singers Nguyen Thanh Hien, left, and Andras Kallay Saunders after she won the final of the Miss Universe Hungary beauty pageant in Budapest, Hungary. 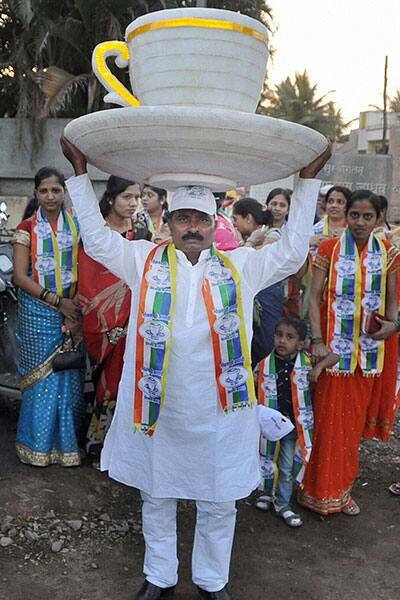 A man carries a model election symbol of thermocol Lokshahi Aghadi during a campaign for Municipal Council Elections in Karad, Maharashtra. 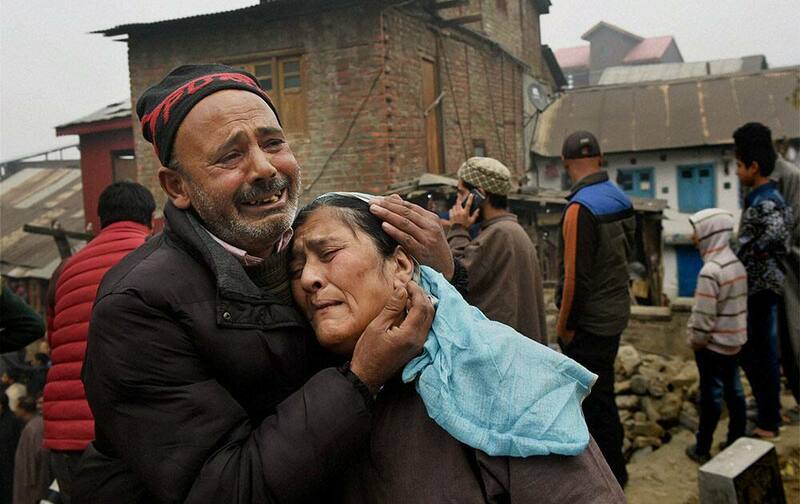 Residents cry after a masive fire broke out in a residential area at Buchwara in Srinagar. 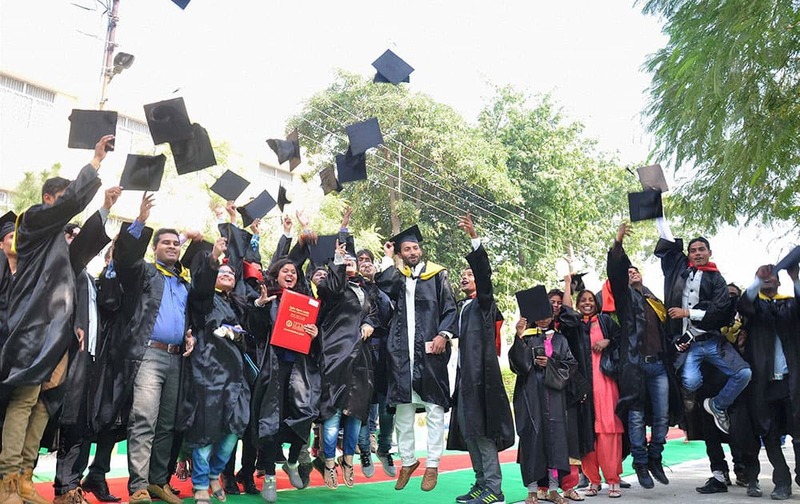 Students of IFTM University in a jubilant mood after receiving their degrees at IFTM Universitys convocation programme in Moradabad. 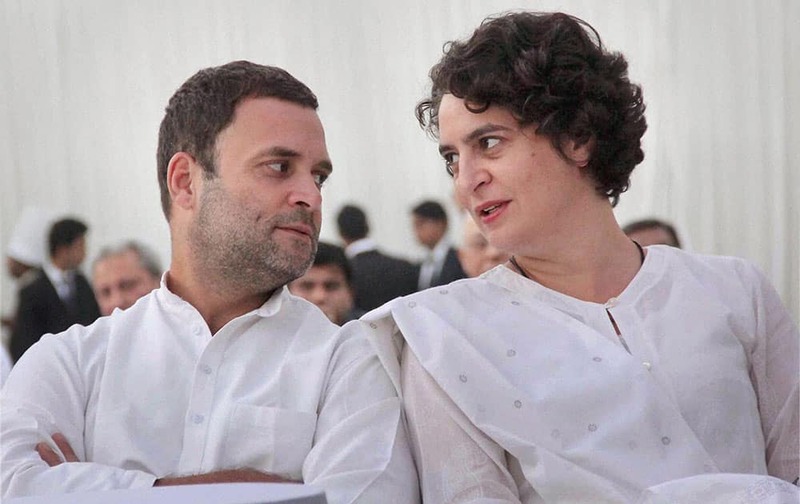 Congress Vice President Rahul Gandhi and Priyanka Gandhi during inauguration of a photo exhibition on Indira Gandhi`s life to mark her 100th birth anniversary celebrations at historical Swaraj Bhawan in Allahabad. 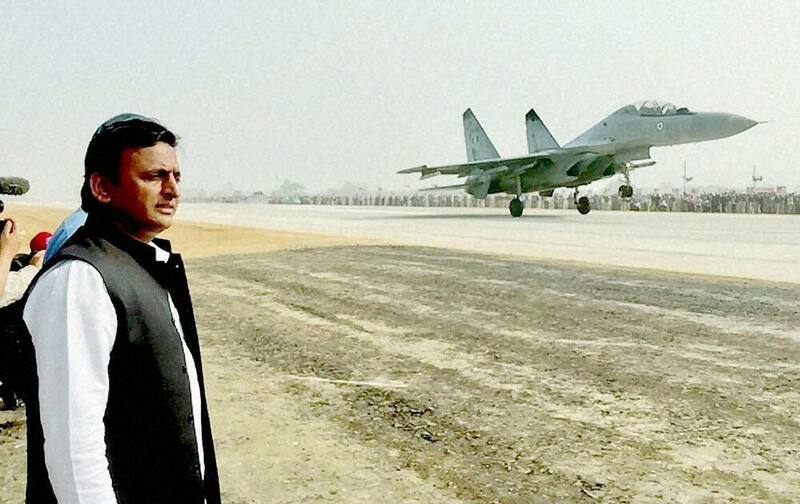 Uttar Pradesh Chief Minister Akhilesh Yadav looks on as a fighter plane touches down during the opening of Agra-Lucknow expressway, in Unnao. 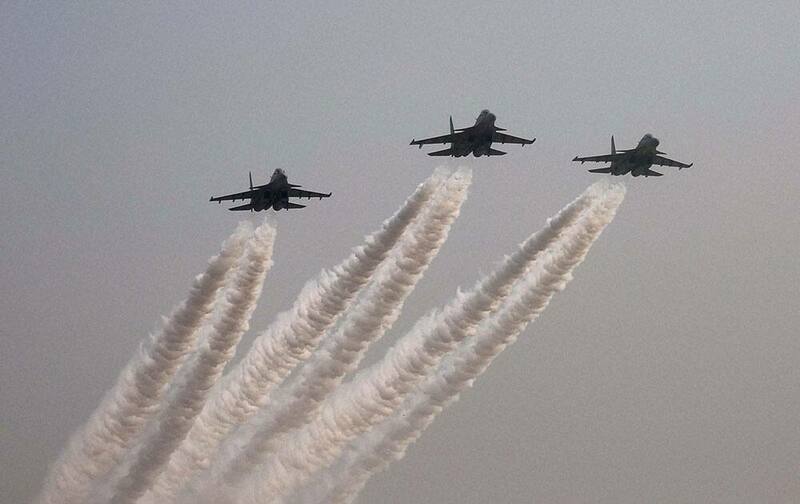 IAFs Sukhoi planes making flyby manoeuver in the sky during the grand opening of Agra-Lucknow expressway. 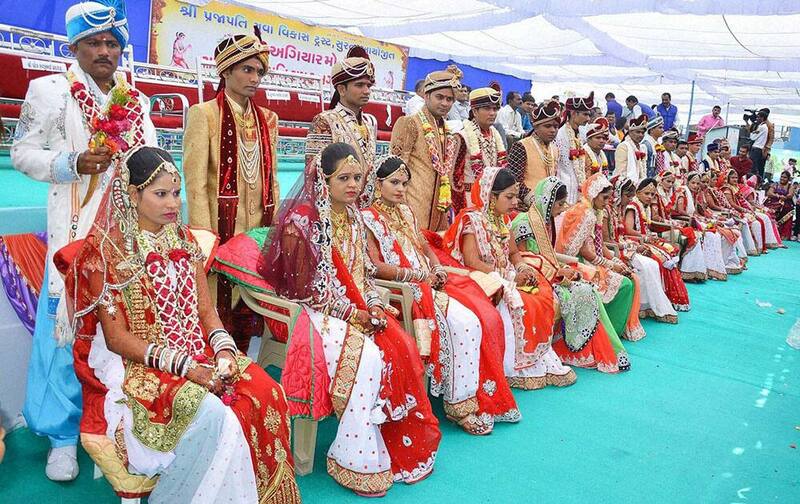 Newly married couples and their relatives at a mass marriage ceremony in Surat. 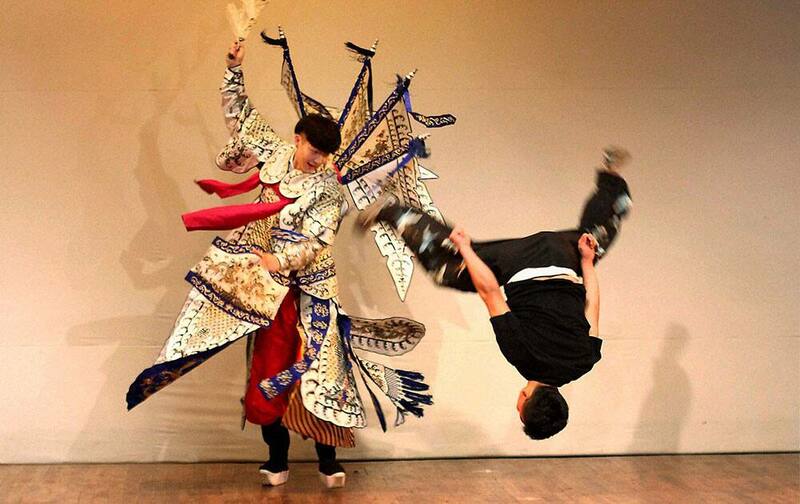 China`s famous Beijing Opera performing at Civil Services officers Institute at ongoing 10th Delhi International Art Festival in New Delhi.